1:42 a.m. Police in Craig responded to a suspicious person, vehicle, or article call at Quality Inn. Police responded to at least one other similar call in Craig later Thursday morning. 2:33 a.m. Near the intersection of East Victory Way and Tucker Street, police responded to a welfare check. Police responded to at least two other welfare checks throughout the city Thursday. 8:10 a.m. On the 200 block of Colorado Highway 13, police assisted a motorist. 8:55 a.m. Police in Craig executed a warrant, and an arrest was made. Craig police said a white male, 49, from Craig, was arrested on a warrant from another agency. 11:11 a.m. On the 200 block of Woodbury Drive, police responded to an abandoned vehicle call. Police said the vehicle was red-tagged for snow removal. 1:42 p.m. On the 1100 block of Crest Drive, police responded to a complaint call. 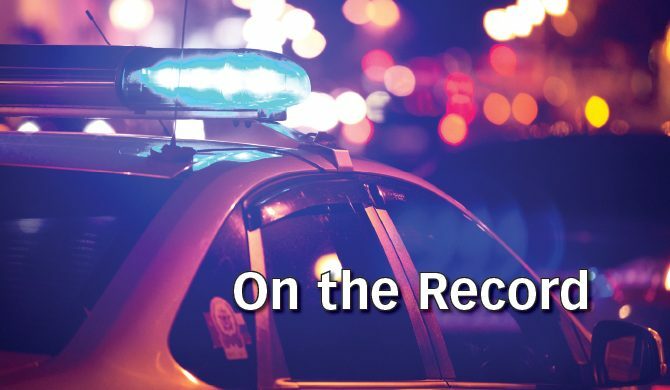 Officers said the call began as a traffic complaint, but when they made contact with the 30-year-old Craig woman who had called 911, they discovered there was a warrant for her arrest from another agency. She was arrested. 2:12 p.m. On the 100 block of West Victory Way, police responded to a harassment call and red-tagged a vehicle for snow removal. 7:02 p.m. Police responded to a non-suspicious, unattended death in Craig. 9:20 p.m. Near the intersection of West Victory Way and West Third Avenue, police conducted a traffic stop. A warning ticket was issued for a traffic violation.